Some ayurvedic medicines are a single solution to many problems and one of them is Triphala churna. Let us decode what it actually is. “Tri” is taken from Sanskrit which means three and “phala” which is also driven from the same language means fruit. So Triphala Churna or Triphala Choorna is an ayurvedic remedy prepared by mixing three different ayurvedic medicinal fruits or herbs. These are Embilica officinalis, commonly known as amla or Indian gooseberry, Terminalia Billerica ( bibhitaki in many languages) bedda or baheda in Hindi and the 3rd one is Terminalia chebula, commonly known as Harrad. All these 3 ingredients have their own benefits too but the Triphala Churna is the best combination to deal with many health issues. In this article, we will look what are its various Health, Hair and Skin benefits of this 100% herbal powdered mix. Triphala churna is known to treat a number of health problems ranging from weight loss to blood pressure. This churna also has anti-inflammatory properties, which makes it handy to treat even arthritis and reduce inflammation. It is also loaded with antioxidants which help to slow down the aging process. Studies also show that it has some anti-cancer properties. Triphala is best recommended to prevent and cure digestive disorders. It has a laxative effect and effective to stimulate the bowel movements. It is advised by Ayurvedic doctors to have one spoon of Triphala Choorna before going to bed at night. You can also have a spoon full of it early in the morning on an empty stomach with a large amount of water. It will help you in cleaning your stomach and proper bowel movements. The consumption of Triphala relieves flatulence and also improves the rectal muscles. It also is full of nutrients and vitamins which provides nutrition to the digestive tract. If you are suffering from constipation, then just have a glass full of warm water mixed with 2 tsp of triphala powder every night before bedtime. This will provide relief from constipation. Ayurveda has a cure for everything and you can also prevent life-threatening disease like Cancer by consuming herbal tonics. Triphala Choorna, as well as Triphala juice, is one such tonic which contains anti-cancer properties and exhibits radioactive, chemoprotective, and antineoplastic effects. In the treatment of diabetes mellitus Triphala works like a wonder. It has a hypoglycemic effect which makes the intake of insulin by the cells easier. Have half a teaspoon of triphala choorna with honey if you are suffering from bad breath. You can also try mixing a teaspoon each of Triphala choorna and salt in lukewarm water and then simply gargle this solution. Try this every morning to get rid of bad breath. For healthy and sharp eyesight Triphala churna is a potent eye tonic. For this, you have to mix and soak 1 to 2 spoons of churna in warm water for a whole night. In the morning filter the mix and use it for cleaning of eyes. This will prevent eye infections and healthy eyesight. Triphala Churna is also helpful for proper blood circulation as it improves the blood flow in capillaries. It is suggested to have it once a day to improve the count of RBC’s in the blood. 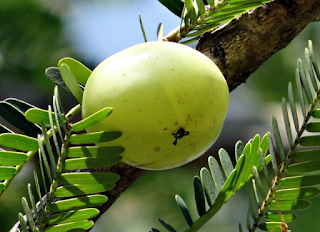 Triphala acts as an important immunity booster the reason is its medicinal ingredients. It nourishes the body from within; cleanse the digestive and gastric tract and improves blood circulation in the body. This Ayurvedic medicine is a solution to many health problems and further prevents the body from serious health disorders. The regular consumption of Triphala Choorna is highly recommended if you are having internal and external inflammation or other problems related to this. You can also try Triphala juice which is now easily available in supermarkets as well as online stores. This Juice is an excellent source of essential vitamins and minerals. It has rich iron content too which prevents anemia and other iron deficiency diseases. Triphala is best to have if you are interested in a natural treatment for excess body fat removal. It also helps you to get rid of toxins which are responsible for such unhealthy body conditions. Try Triphala Juice if you are willing to manage your body weight. Drinking this juice induces the secretion of cholecystokinin which is a hormone that makes you feel full quicker than usual. You can also take triphala churna to lose weight. Just mix 1 tablespoon of Triphala churna and warm water and have it three times a day. Triphala exhibits anti-inflammatory properties too. So if you are having regular Joint pain, arthritis, and other problems then its consumption will definitely help you. It not only strengthens bones but also flushes out excess uric acid. Uric Acid is a major cause of inflammation. Just mix half a tablespoon of triphala powder in a glass of water and drink it to get relief from joint pain. Here we will suggest you go with Triphala juice as it keeps the cholesterol levels in check and highly promotes better blood flow. Problems related blood pressure fluctuations can be easily prevented by consuming Triphala Powder. Essential fatty acids, like linoleic acid, are present in triphala juice which prevents heart problems by controlling the Blood Pressure. Its anti-spasmodic properties work to reduce the risk of blood pressure spikes. Ayurveda has mentioned it as one of its best medicine to cure and prevent common Viral and Bacterial Infections. For ages Triphala has been used as a home remedy to detoxify the body. To make your own homemade detox tonic you just need to take a glass of water and mix a teaspoon of triphala powder in it and drink it before bedtime to detoxify your body. You can also make a much more powerful detox tonic by mixing two teaspoons of triphala churna in a glass of warm water to which you need to add a teaspoon of crushed ginger. Now let this mixer sit aside for about 8 hours. Now boil the mixture till it gets reduced to half of its quantity and strain it. To this add a dash of lemon and your detoxifier is ready to clean your system. The anti-inflammatory and antimicrobial properties of Triphala makes it quite effective in faster healing of wounds. This anti-inflammatory properties work to cure and prevent joint pain and bronchitis. Triphala churna is made from all natural ingredients and can be taken by highly sensitive people without the fear of any harmful allergic reactions. If you suffer from motion sickness or dizziness then triphala churna is a perfect remedy to cure it. All you need to do is just mix half a teaspoon of Triphala churna with a teaspoon of honey whenever you feel dizzy or before starting your journey. Triphala churna is completely safe even for babies. It works amazingly to eliminate a many bacterial and viral infections in babies like cold, cough, and fever, and also works to boost their immunity. To treat hormonal imbalance just have a glass of warm water mixed with a teaspoon of triphala churna and drink it just before bedtime. This remedy will help to regulate the hormones and keep you stress-free. Triphala churna is known to have a positive effect on our endocrine glands, especially our thyroids.